In front of over 120 invited guests, Mike Howes was made an Honorary Citizen of Chipping Norton by Mayor Mike Tysoe at a ceremony at the Town Hall last week. Mike Howes, now 76, is a long-standing resident of the town and has always been a staunch supporter of the community. He is known for his energy and good natured zeal, and many at his ceremony talked of his canny ability to get people on board with his various visionary projects. 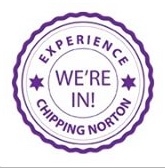 Mike started the Chippy Jazz Festival 16 years ago, and remains both Honorary President of the Chipping Norton Conservatives and officer of the Rotary Club of Chipping Norton. 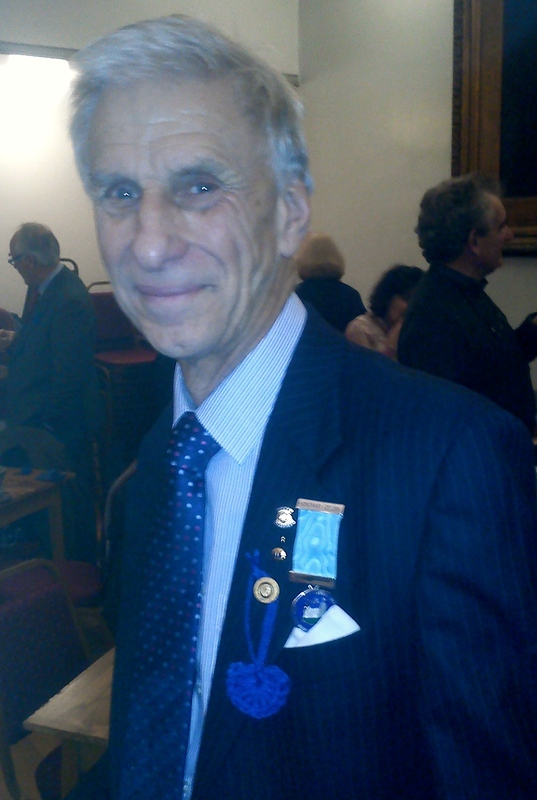 He has also been a treasurer for many other organisations, including the RNLI, Round Table, Probus, Lawrence Home Nursing Team, Friends of St Mary’s and the Royal British Legion. This legacy of service to the community was acknowledged in a note from the Prime Minister David Cameron, relayed by district councillor Hilary Biles. In an emotional speech towards the end of the proceedings, Mike paid tribute to the support of his wife Terri, saying that without her, he could not have achieved so much. Terri received a bouquet of flowers – and a standing ovation! – in recognition of her contribution. This entry was posted in local people, news and tagged Chipping Norton, David Cameron, Hilary Biles, Honorary Citizen, Mike Howes, Mike Tysoe, Prime Minister, Town Hall. Bookmark the permalink.